Have a look at the latest in gym culture. Are you fit enough? Were you there? Would you compte in the next event? X Training is on the fitness map. The role of a Judge, has always been a hot issue with X Training.Â Each athlete knows what is expected of them. Judges are volunteers, not paid and give up their time freely. WGC says thanks to the Judge. If they get it wrong, they are only human. Untill the day when an official Judge Qualification is accredited by possibly REP’s or maybe FITPRO there will always be issues. Possibly one day in the future that may happen with good investment. At this moment in time a paid judge is called a bribe! Paying Judges or Marshall is something they deserve and I hope the day comes where that is possible. The Judge in my opinion is the saint – it’s the compeititor that is the sinner, because without Judges there would be no events. Author adminPosted on 10/05/2007 10/05/2007 Categories News3 Comments on Judge. Sinner or Saint? Looking forward to the Dragons Gauntlet? Let us know how your training is going? Any pre views you may have . Â Full members (Silver and above)Â can complete the the challenge on line and store it in their Personal Page. That will give other members who are not taking part a real chance to see how well they would fare against the top X Trainers in the country right now, for this very challenging event. I have heard it a million times – “In training I got this time” – well now is the chance to proove it. 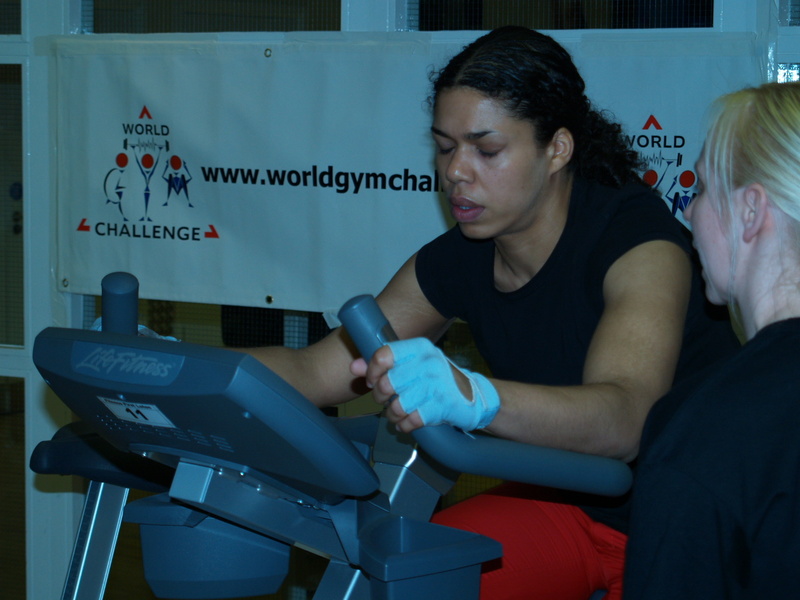 Contact WGC at info@worldgymchallenge.com for the verification process and times can be verified! 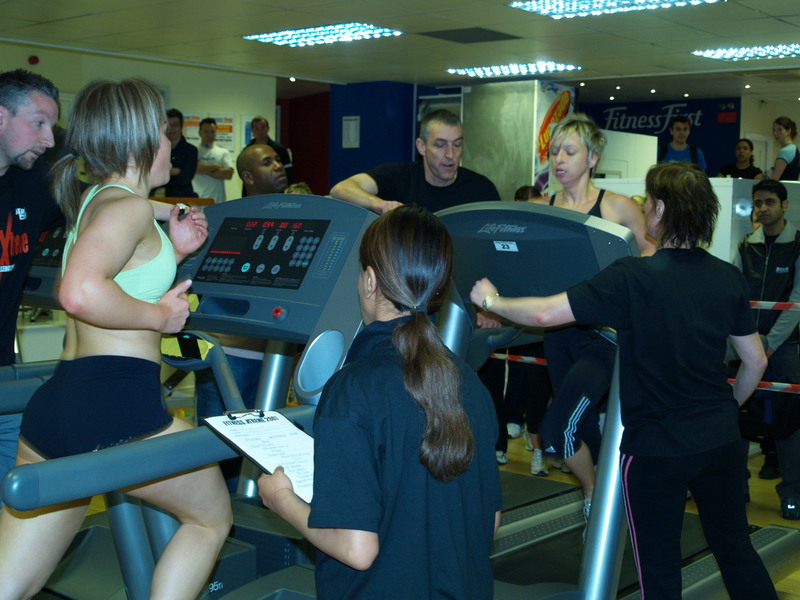 Have you asked your gym to run a Gym Challenge or any X Training event? Or does it already? Author adminPosted on 08/05/2007 Categories NewsLeave a comment on Have you asked your gym to run a Gym Challenge or any X Training event? Or does it already? 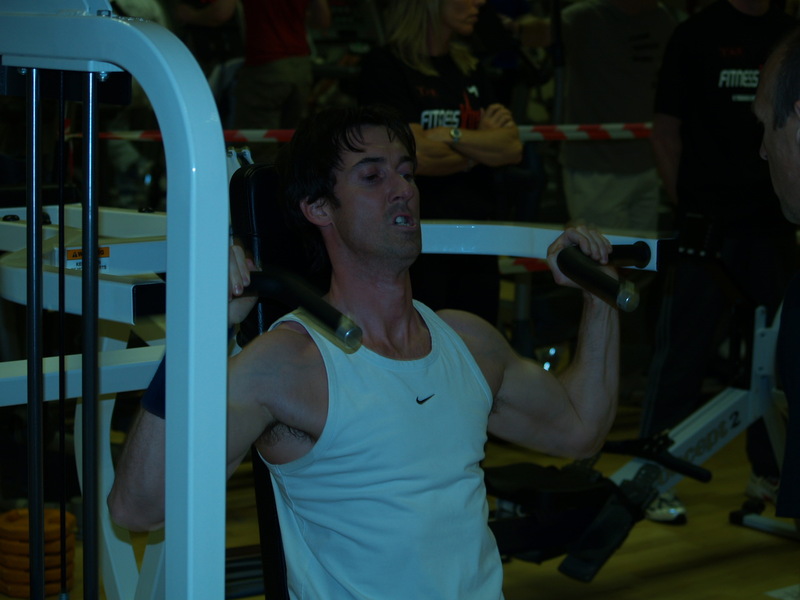 The continuing saga of what it is like to compete in a gym challenge….. Sit Ups are by design one of those exercises that some are naturally stronger at then others. Good core work and strong abs will get you through this section, but only if you carry out the correct instruction to the letter – elbows to the top of the knees, hands in contact with the head, or earlobes at all times. Do it properly and its 50 and move on – do not satisfy a judge that you have and you are going to have problems. Fastest time of the day Kirk Gibbons (1.08)Â Â I can do these and don’t normally have a problem with them – at 1.37 I am satisfied. If …. the famous Poem written by Rudyard Kipling allegedlyÂ missed its final line. Something along the lines . IF my son, if you can complete 40 kg Bench Press without stopping having completed all the staions in Â this Gym Challenge, then my son you are a man! Only with the modern age and all – that doesn’t sit too well with the ladies (being called a man) Come to think of it, I wouldn’t mind it – but no way, 40 for me is a dream and something I would love toÂ do ( In training, from fresh and Â on a good day maybe – right here and now? er no! )Â Â Believe me at this stage of the game – to complete these last 40 reps in either Womens or Mens Weights is tough. But the beauty of this sport is that, often is the case it is down to the last discipline that the race is decided. From a crowd point of view you cannot experience this kind of exitement unless you are there. You can see that in some cases there are just seconds seperating the leadership and as each rep is counted there is a faint hope that one may rest, that the lactic is just too much, that maybe the race will switch leads yet again and be a turn aroundÂ from how the whole race had been dictated since the off. It is incredible the atmoshere this sports generates and for those that were there – the classic Sam Orgee and Sylburn Miller final race will be a race to remember for a long time. For those who witnessed the racing you will know what I mean about exitement Â and for those who took part in either the Sprint, Intermediate or Open Categories, I have nothing but respect and admiration for. As for current X TrainersÂ – these people are a band of happy brothersÂ – and sisters; for this Challenge does not distinguish between gender. 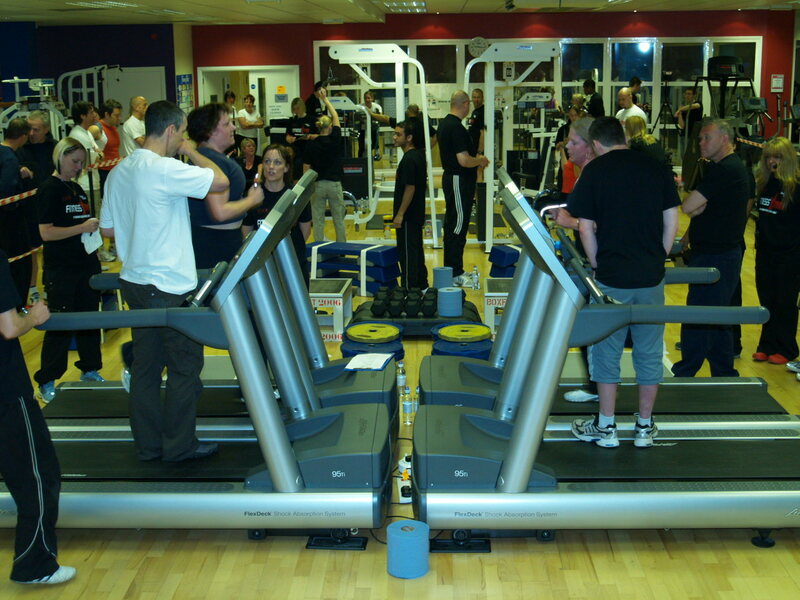 In gyms where Challenges are common place male and female train together – it is quite unique. 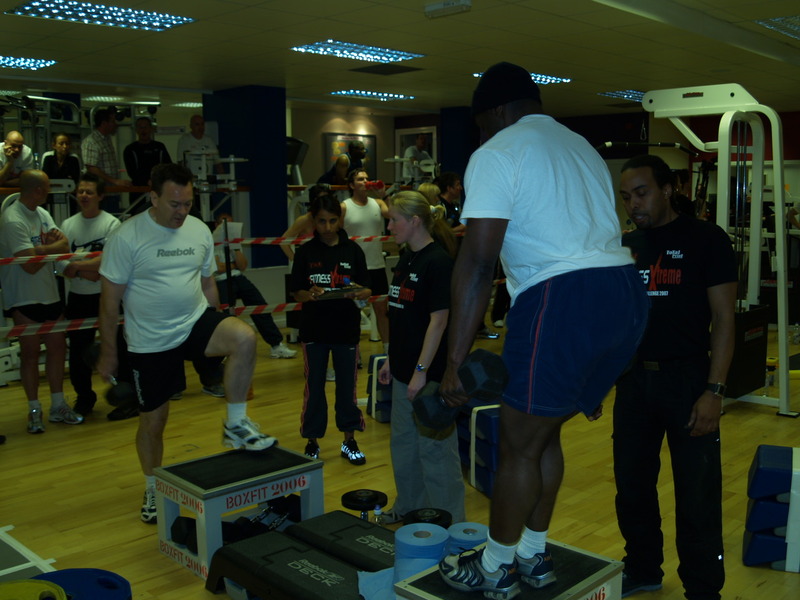 They train hard and are amongst the most motivated people in a gym enviroment. And this post is dedicated to them all. 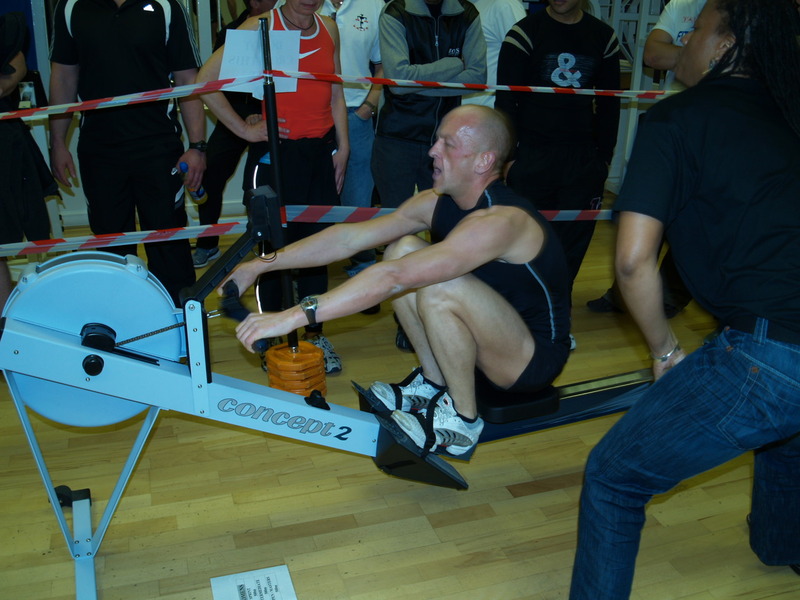 Â The continuing saga of what it is like to complete the ‘Open Category’ in a Gym Challenge …..
As Steve Redgrave is quoted as saying, he never managed to beat the Concept 2 rower. 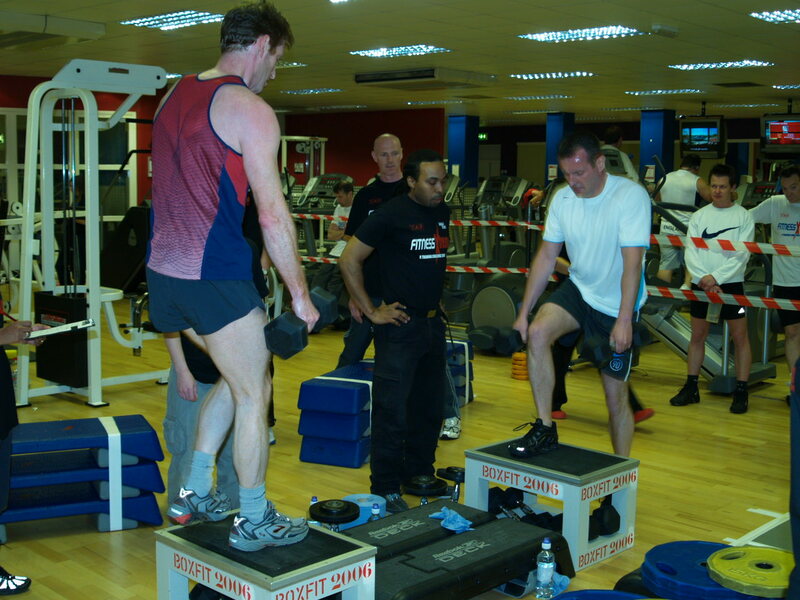 It is one the best pieces of kit in any gym and although quite monotonous in its action, the benefits are immeasurable. Only problem now is you need to complete 500m on it in as quick as time as possible – but do you? Maybe it’s time to get a bit of a breather ? go too fast now and you will suffer later, fastest time of the day Sam Orgee (1.50) My time (2.25) kinda think maybe I took it too easy! Is probably one of the hardest to judge. If you lean back too far, it won’t count. If the arms aren’t fully extended, it won’t count. And if you get too tired and can’t do them – the judges stop counting! It’s 40 to complete, Lactic is beginning to burn and although you can see the guy or girl you are racing against leave the station ahead of you – don’t panic Â there is still time to maybe catch him/her up on the next event. It’s 14 inches high and carries the tired feet of past events in its worn rubber matting. The Boxfit Step Up Box. It is for me my Nemisus. I will never get to grip with these things. After ten I was thinking – 70 more to do. After ten I was thinking – Holy cow how am I going to complete this? But for some, this is where the top athletesÂ get a breather! Not a problem for Jason King (2.54) me , a very , very tired and lack lustre finsih time of 5.30. Those extra 70 I had to do – call it a wall moment for me, they took their toll, but this challenge is about digging deep and I did. Completing them was for me a personal goal. As for catching up my opponent Mike Jones a Personal Trainer and great guy Â from Fitness First in Gorton Manchester – he’s away and all I see isÂ for me to complete this challenge. There are still three more stations to complete. 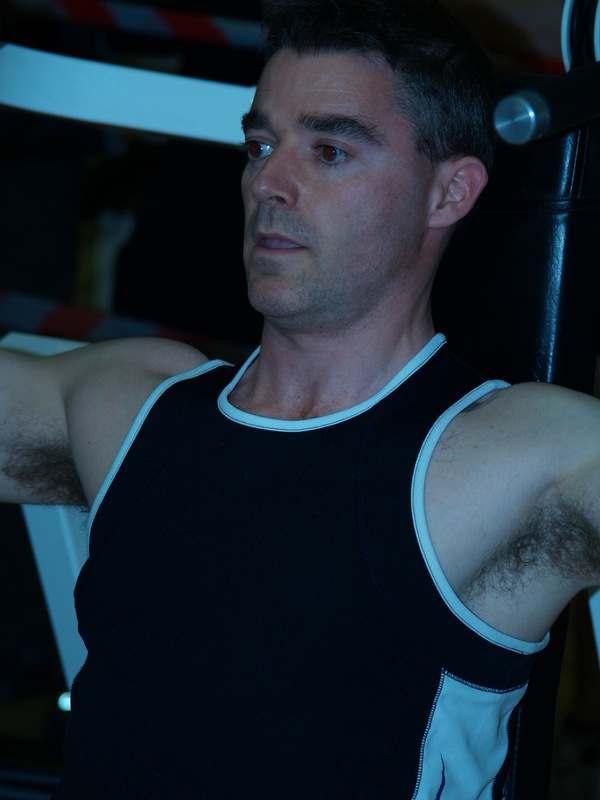 I have got the worst of it out of the way (actually thats a brave statement) The sit ups (50 full), the treadmill runÂ (800m @ 6%) and bench press (40 x 40 kg) are each in their own right, as tough as any station on this course and at this moment in time – they are waiting for you – willing you to fail, to give up , quit – almost snarling at you as if they were living entities. But do you? No way – there are judges urging you on, giving you that extra something in motivationÂ -Â Â there are screams from the crowd urging you on and there is determination. Over the next few days a commentary on what its like to take part on one of these challenges will posted. Maybe it will influence you to think about taking part in the next event? The new face of gym challengesÂ are going through a tranisition period. It used to be only the seriously fit would take these events on. Those days are gone, it is now about taking part in a event at the correct level for your fitness, either sprint (first time) Intermediate (Gym enthusiast) Open ( Stark raving bonkers!) Â and by taking on a bench mark time – seeing progression over time. 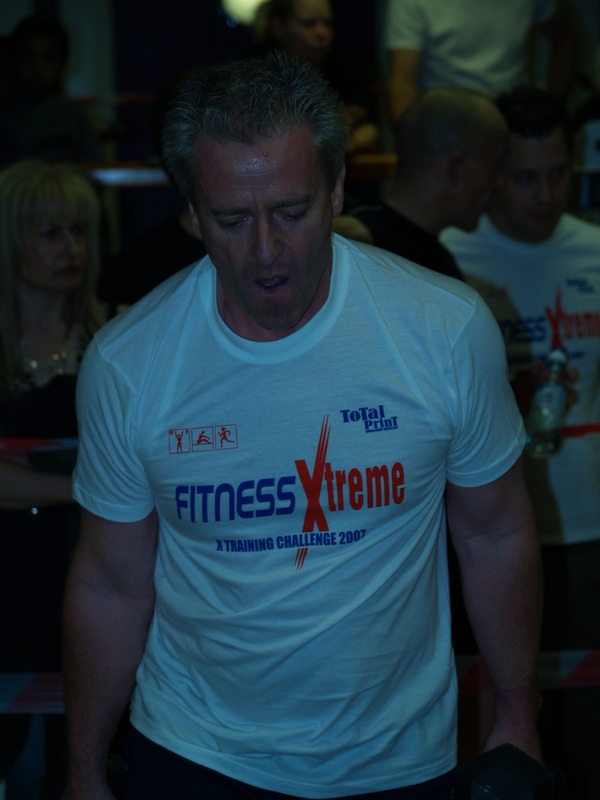 Fitness Extreme is a classic example. I took on the Open event to test myself. Maybe it was too tough for me, but at the end of it – a bit like the ending of a marathon there is a real sense of achievement. Here, for somebody who may thinking about entering one of these events is what it is like. Probably the worst part of anyÂ eventÂ in any sport, is the wait before the kick off, the bang, the words “box” whatever starts it, everybody is nervous and X Training is no exception. Lucklily the first stage is normally the easiest! That is the good news – the bad news is, it does get harder! Everyone normally uses the bike in the gym. It’s a great way to warm up and get the blood nicely flowing and the heart rate raised. Pedalling at roughly 107 rpms at level 12 means that I am not going to tire myself too badly, and when I hit the squat thrusts I will be ok.
Alternate, so one leg operates then the other. I swear there were friction burns on the mat with the speed some of these guys were going at, the cartoon image of woodywoodpecker blistering pace springs to mind!It’s a great exercise though and can be practised anywhere. The judges are on hand to make sure that both feet clear the marked lines – make them count! 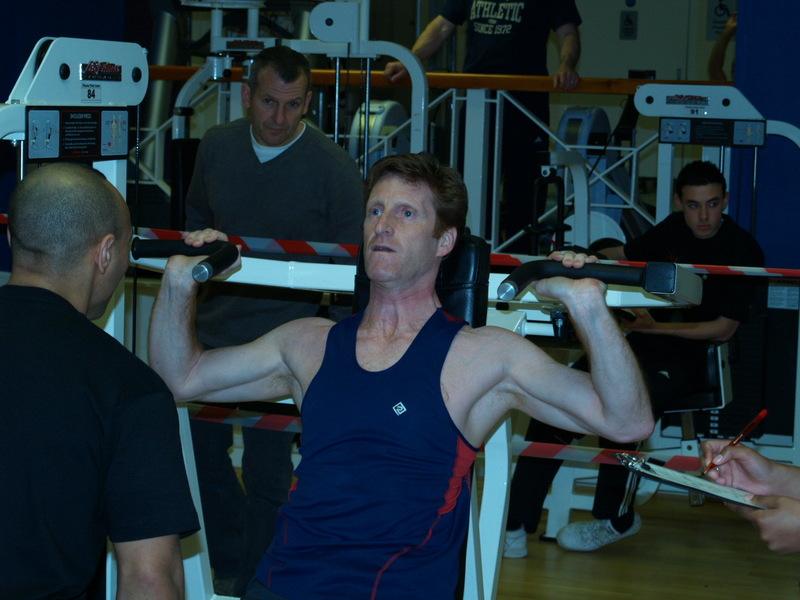 Normally this exercise is carried out using free weights, but at this event, you use the machine.Â The judges are there making sure that correct ROM is carried out and I tell you what, if you haven’t been practising properly, they will pick it up and make you do a hundred more if neccesary.Â I also triedÂ various other methods, bribery, charm and flattery Â and no way – these guys -Â ain’t gonna happen. So plod on, grit your teeth and endure a slight bit of pain. Fastest time of the day, local all round nice guy,Â Â Simon Bellinger (44 seconds). That is shifting. My time (1.42) Got a bit of work to do in the gym yet! For obvious reasons the ladies and guys are measured using different forms, shoulder for the ladies, chest for the guys – however it was measured it’s still hard. Full extention, dip, touch sponge with your chest or shoulder and carry on. Sounds easy? 50 of them is pretty tough, but having just completed the Shoulder Press it is like- Â arms that used to respondÂ to commands fromÂ Mr BrainÂ have shut up shop and are not taking callsÂ anymoreÂ (in my case) For the likes of Sylburn Miller (57 seconds) its a breeze! It’s around this moment in time when sanity kicks in and you know you are here to do business. It’s a personal thing. You want to complete the course, you are here, you have trained for itÂ and onlyÂ four events have gone andÂ Â anotherÂ seven yet still to do! Part 2 will continue shortly! Managed by Inverclyde Leisure’s fitness professional fitness co-ordinators, this event willÂ proove to be as challenging as any on the Grand Prix circuit. 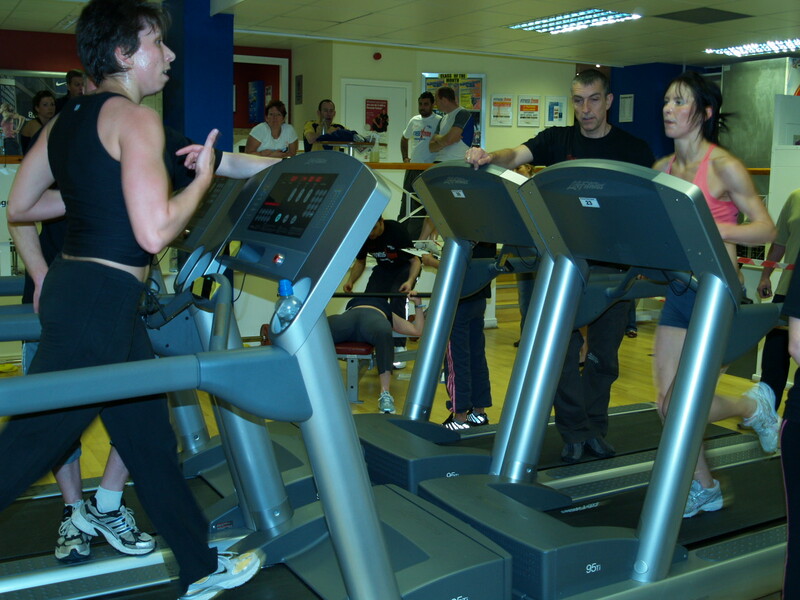 Gym challengesÂ are Â certainly catching the imagination of private and local run authority health clubs for member retention and memberÂ benefitsÂ .Â Members want to be motivated! Will Scotland be the next country to embrace Gym Challenges? and could this be the making of a north /south Championship? Saturday 28th April 2007, was an eventful day. Were you there? Please post your comments. WGC wants to hear your views. Readers want to understand what makes somebody want to doÂ a gym challenge.